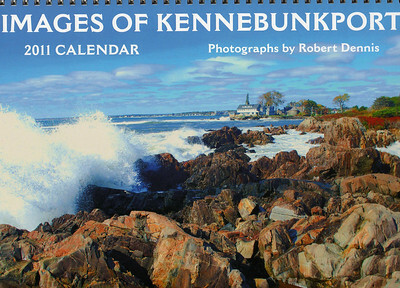 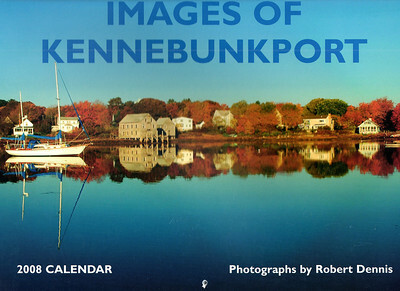 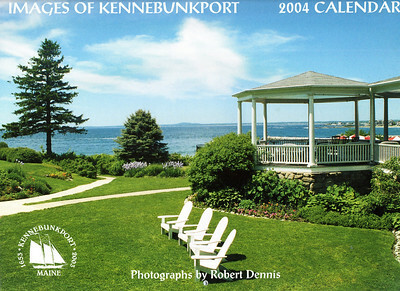 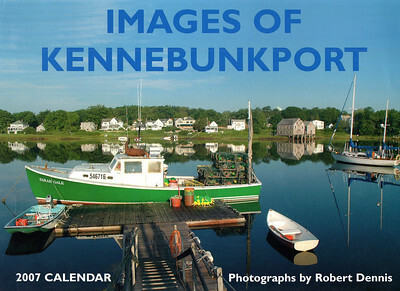 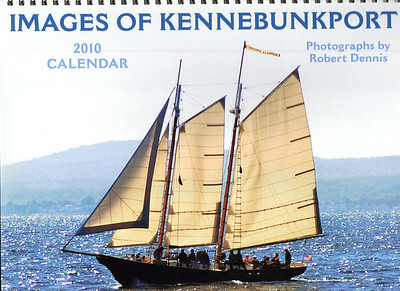 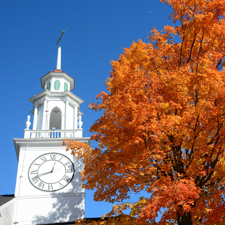 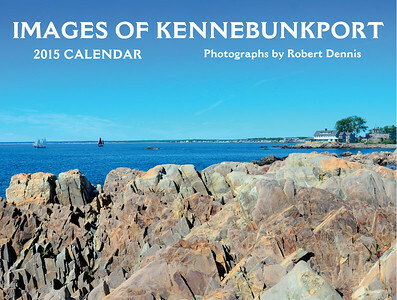 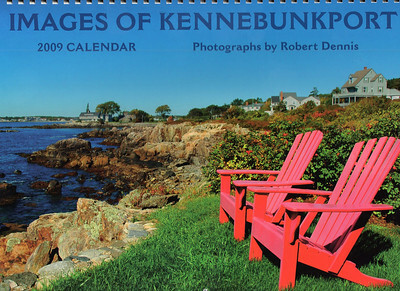 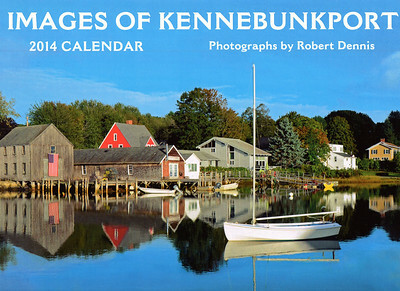 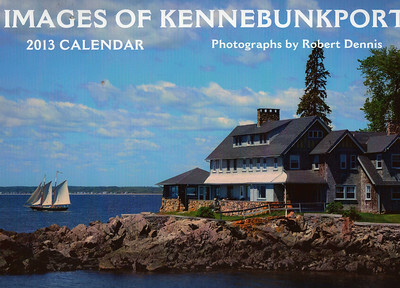 Since 2001, I have published eighteen annual "Images of Kennebunkport" calendars. 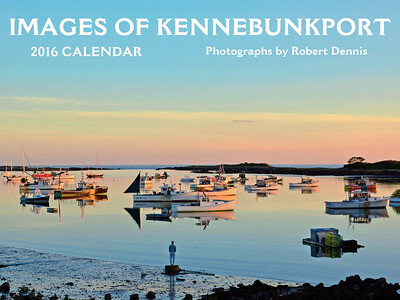 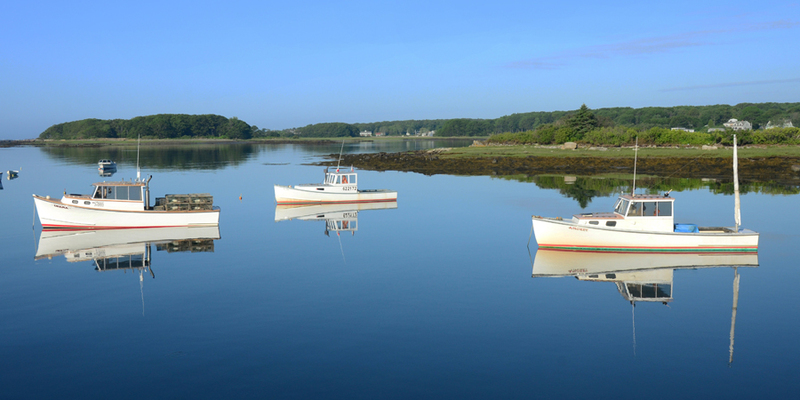 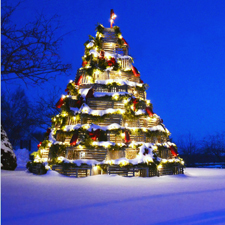 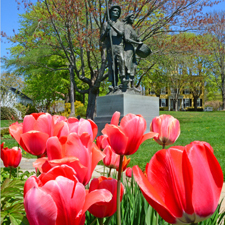 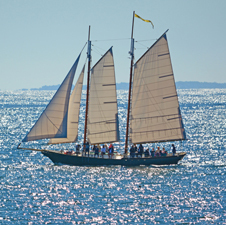 Each calendar has featured new seasonally-appropriate photos for each month as well as several additional photos of beautiful and historic Kennebunkport. 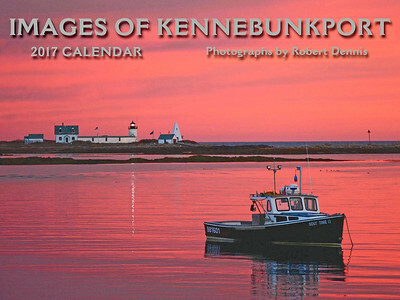 The calendars are sold at several shops and hotels in Kennebunkport as well as to people all over the country (and beyond) through my website. 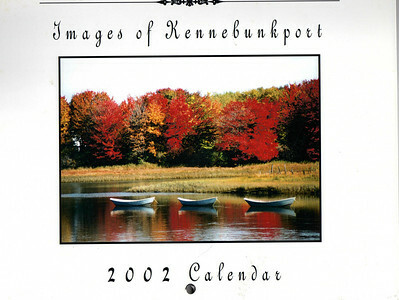 The covers of the 2002 through 2019 calendars appear below. 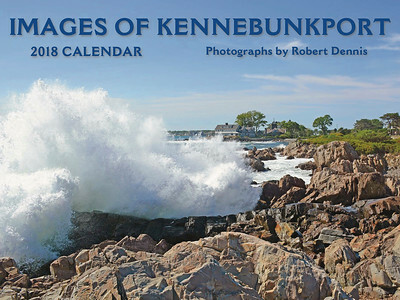 My 2019 Images of Kennebunkport Calendar is now available. 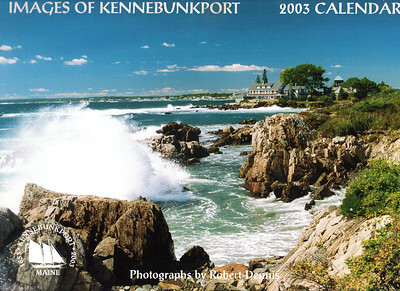 The cover, seen here, shows an early morning fog lifting over three of Cape Porpoise’s iconic fish houses. 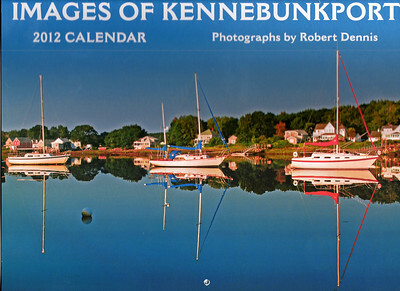 Twelve all-new monthly images include scenes from the snowy winter of 2018, boats reflecting in the early morning still water, crashing waves, views of some of the town’s historic waterfront buildings, beautiful ocean sunsets, glorious fall foliage, and the joyous spectacle of Christmas Prelude. 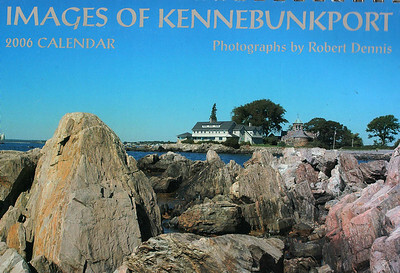 The photos span the rocky coast, Cape Porpoise, the Kennebunk River, and Dock Square. 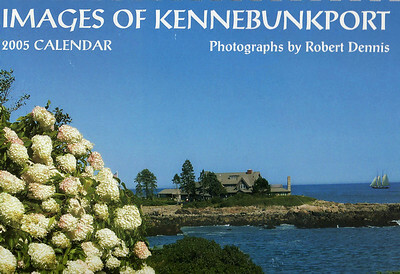 A special opening page is devoted to photos of Kennebunkport’s beloved George and Barbara Bush. 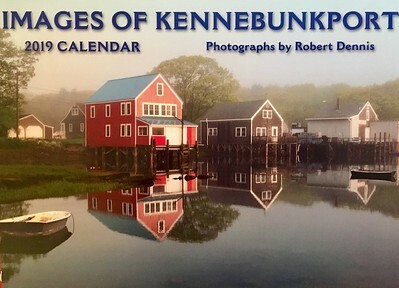 The calendar may be purchased at several shops throughout Kennebunkport (see the ABOUT page), by sending me a check for $17.95 ($14.95 plus $3 shipping within the US) for each calendar, or by purchasing here by secure credit card with PayPal.